Sometimes I’m flat out amazed at what a talented player can do solo in World of Warcraft. Mione, long time soloer of current content, is back with a new video. This time it’s Mythic Cathedral of Endless Night with +15. Not only is it successfully soloed it, but Mione manages to beat the timer as well. Mione is doing this at ilevel 970 on a Vengeance Demon Hunter and I’ve got to be honest. I realize much of this is due to Mione’s skill as a player and reaction time as well as a lot of forethought and planning. 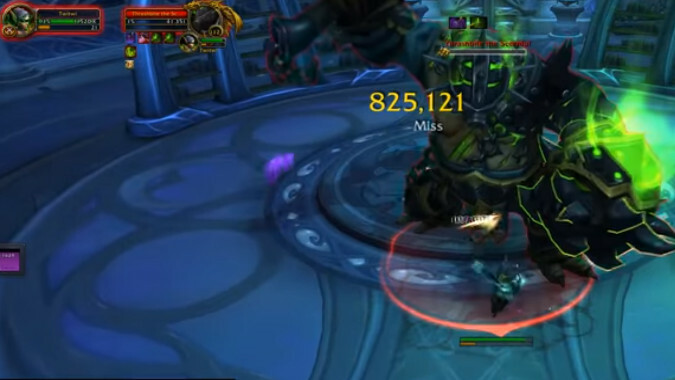 But I also immediately want Demon Hunters nerfed, because I have a hard time imagining a Warrior tank pulling this off. My envy aside, it’s worth watching this video just to see how Mione does the trash pulls. Opening with an Invisibility pot to skip some pulls is pretty genius. It’s also worth watching just to see how hairy some of the boss fights get. Agronox in particular nearly kills Mione several times. There’s a really astonishing clutch play there in staying upright. The Thrashbite encounter was similarly tight. I know even with the same gear — heck, with better gear, although at 970 Mione’s pretty near the top — I’d have been a smear on the floor. But Mione’s understanding of the class and the dungeon proves sufficient to the task. As Mione points out, +15 Mythic is pretty close to endgame so this is a pretty amazing achievement. It’s not an easy feat and I’m wondering if we’ll see a similar video for other Mythics, like Seat of the Triumverate. Doing that dungeon at +15 and beating the timer would be frankly a little terrifying. But if anyone could do it, Mione could. And man, I’ve never wanted to roll a Demon Hunter while simultaneously realizing I couldn’t do anything close to this on one more in my life. Take a look at the video for yourselves, it’s pretty astounding.